Gary has nearly 30 years of experience specializing in serving the needs of business owners, family offices and private equity investors. The primary objective is to help business owners to create business value, access capital, develop exit plans, arrange mergers or acquisitions and coordinate the sale of a business; with family offices making direct investments in or acquiring growing companies; and with private equity investors to identify attractive opportunities for investment as well as achieve liquidity for prior investments. He owns or has co-founded and advised numerous businesses. He offers much expertise in reviewing complex transactions and financial issues. Earlier projects involved creating a Joint Venture with the premiere US based owners of Commercial Office Real Estate Space such as Equity Office, Spieker, Carr America, and Crescent Real Estate Equities to deliver concierge technology services to their customers. His involvement with American Ironhorse, a custom production motorcycle company, resulted in the company growing from $10 Million in revenues to over $100 Million over a four year period. 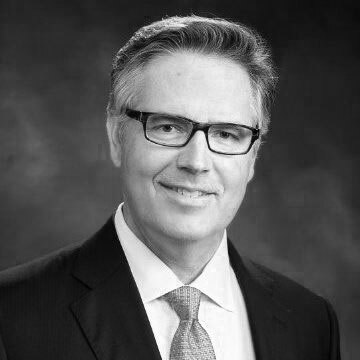 Jack recently originated an M&A transaction where the strategic acquirer, CEMEX, successfully acquired an aggregate producer, Jack’s client, from the Dallas Fort Worth area. Simlarly, his clients have experienced positive financial events such as the aforementioned as follows. Aquasana, a middle market water filtration company, was successfully transacted to Catterton Private Equity. Rapid Reporting, a fraud detection and aversion system for the mortgage industry, realized a sharp spike in revenues due to the 2008 credit bubble which ultimately resulted in the company being successfully transacted to Equifax, a well known diversified credit bureau and technology strategic. Gary transitioned into M&A from operations and sales management within two well known private and public operating companies such as Commerce Clearing House, Inc. and Equitrac Corp where he engaged professionally with some of the world’s largest legal and accounting professional service firms. In addition to operations and sales, Mr. Jack’s career includes a depth of experience in marketing, branding and business development for a wide variety businesses, large and small. He is passionate about the integration of social media and mobile marketing into a company’s commercial strategy. He has worked with the developer of two iconic brands, Orbitz and Home Away, from the standpoint on how to leverage major social media platforms, online technologies and analytical tools to drive customer engagement within a company’s brand and service offering. Over the last ten years Mr. Jack has been a partner in Highpoint Holdings, a private firm primarily active in multifamily real estate circles, oil and gas acquisitions and other private equity investments. His focus on assembling value-added and opportunistic investment deal flow has been instrumental in achieving over 400% increase in investor base and more than $400 million in completed deals since its inaugural year. During his tenure he also established a presence in the oil and gas sector by organizing the purchase of large acreage tracts and subsequent mineral rights in both the Eagle Ford Shale and The Utica Shale, two of the most prolific domestic oil and gas reserves. Mr. Jack also assisted in the formation of Summit Media Holdings which acquired a portion of media giant Cox Radio’s portfolio. The acquisition included 32 radio stations with a presence in five different markets and the growth strategy his group imparted has proven successful. Gary enjoys consulting youth league coaches on the philosophy of proper ethics as it relates to attitudinal perspectives on creating positive outcomes for players, parents, coaches and their communities. His example of leadership is born out of his own experiences in coaching and from having grown up with a father that retired from college coaching after a long and successful career. He believes in dedication to lifelong physical fitness, outdoor adventure, and giving back to the community. Gary is an Honor Graduate of the University of Alabama where he was a scholarship athlete.